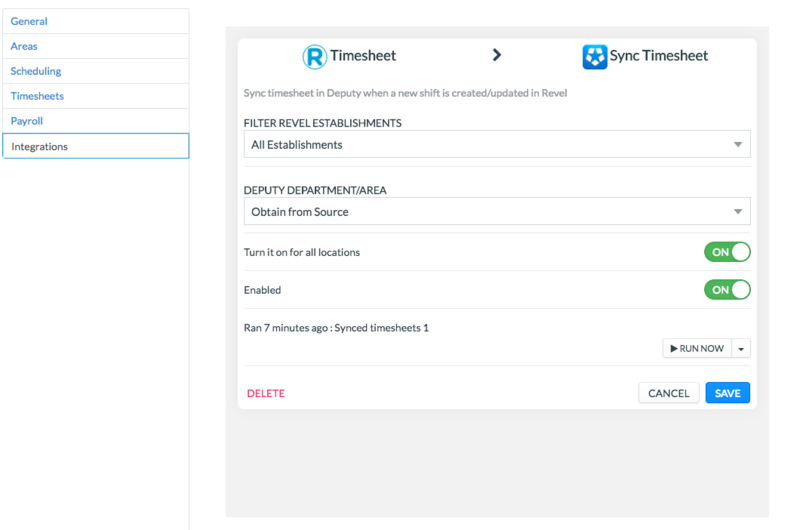 Connecting Deputy with Revels allows you to sync timesheet, sales, and employee data between the two systems. Connecting your Deputy account to Revel will allow you to sync data across both platforms, creating an efficient workplace ecosystem. For more information about integrations, visit this help article. Please ensure that you have a valid Revel account by visiting http://revelsystems.com and creating an account. Please skip this step if you already have an active account. 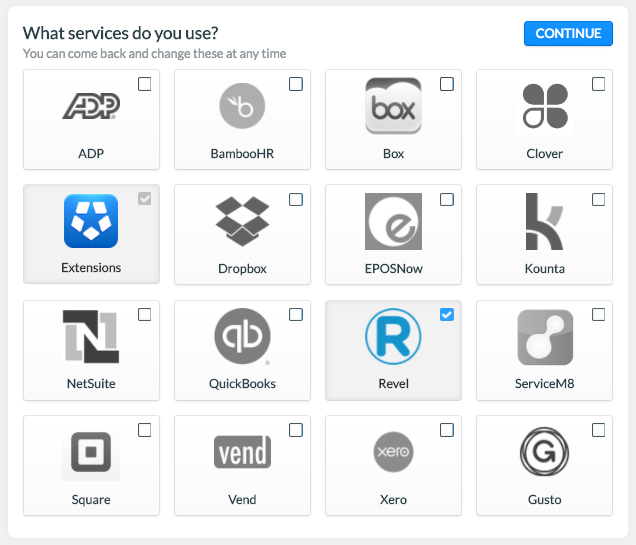 Now navigate to the Integrations tab and ensure that 'Revel' is ticked. Click continue when this is done. To retrieve your keys, please contact your Revel sales representative/account manager and provide your Revel details, including your Revel URL/domain (e.g. https://[businessname].revelup.com/). Then, contact 'experience@deputy.com' with your business name and Revel domain/URL. Once we have verified the account, we will provide your API and Secret keys. Due to Revel's security policy, they cannot provide customers their secret keys directly. Please note that this may take up to a few days. Click 'Authenticate' when you are finished. If you have multiple Revel establishments feeding data to multiple locations in Deputy, you do not have to create separate instances of the integration for each location in Deputy. Simply connect Revel to a location and ensure the 'Turn on for all locations' toggle is on. 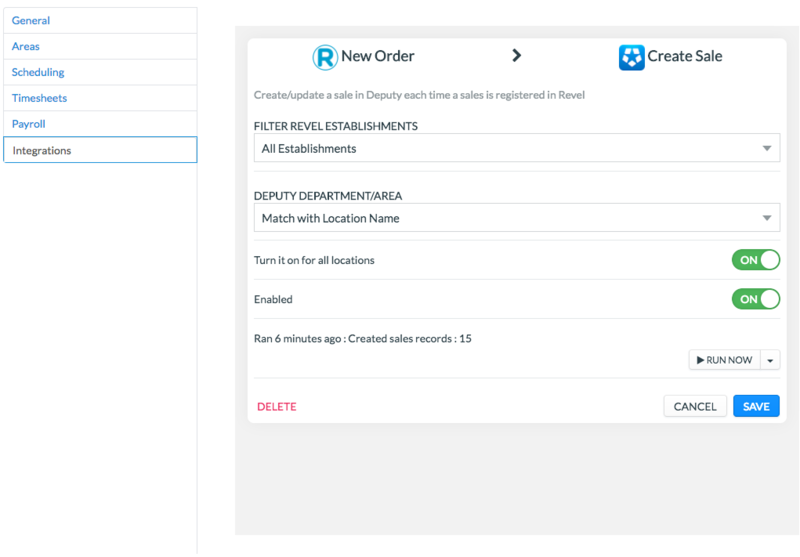 If you are mapping timesheets/sales data into multiple areas in Deputy, the names of those Areas must match the Roles that you have set up in Revel (also case-sensitive) for the mapping to work. Revel offers a number of services with this integration. 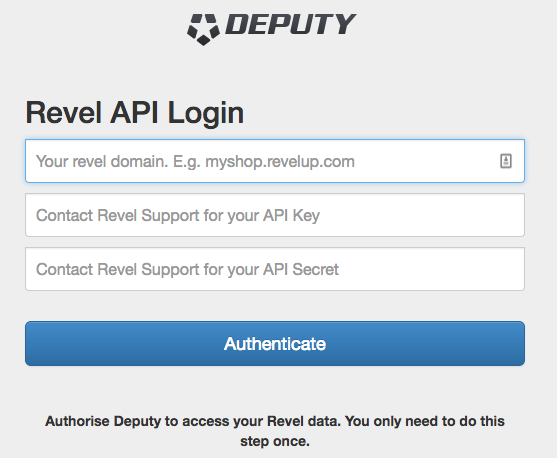 When a sale/order is entered into Revel, this integration will feed this data into Deputy to populate the Stats graph. This will assist in effective scheduling in relation to employee cost vs sales. When a new timesheet is created within Revel, the system will replicate this in Deputy, allowing you to approve and export timesheets with ease.